Ankara wants additional 2 billion euros ($2.16 billion at current exchange rates) from the European Union to tackle the migrant crisis, which will almost double the initially agreed sum, media reported on Saturday. Cooperation of European leaders and Ankara to resolve the refugee crisis has been exposed to new challenges, as Turkey seems to have no limits, demanding more and more money from EU countries, German newspaper Welt wrote. 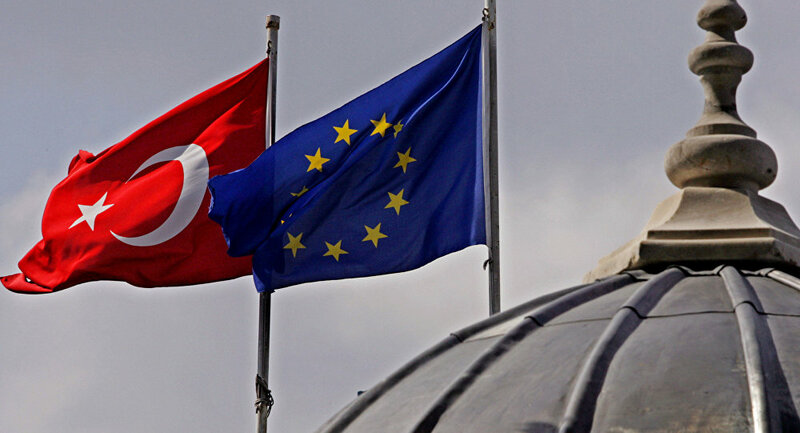 The Turkish government recently demanded from the EU additional financial assistance to resolve migration crisis, despite the fact that Brussels was ready to provide Ankara with the sum that had been agreed before, the article said. "Ankara wants to get five billion dollars, but we are ready to provide only the promised three billion," the newspaper quoted a senior EU diplomat as saying. Moreover, the Turkish Government must understand that Europe may agree on the gradual payment of the promised amount only if it will be able to carefully control the flow of funds received by Ankara, he added. According to the newspaper, the EU seeks to invest the money into specific projects such as the construction of new schools and other educational facilities. Brussels wants to strictly control the payments to prevent the situation when the billions will disappear to unknown sources, with only a tiny part of money being spent for the needs of refugees. On November 29, the European Union and Turkey approved a joint plan to counter the influx of migrants into the bloc, under which EU member states will give some 3 billion euros to Ankara and fast track the negotiations for its accession to the 28-nation bloc. The European Commission approved the creation of a special 3-billion-euro fund for refugees in Turkey, 500 million of which will be allocated by the EC itself, while the remaining 2.5 billion euros will be paid by the EU countries. Europe is currently struggling to cope with a massive refugee crisis, with hundreds of thousands of people leaving their crisis-torn countries of origin in North Africa and the Middle East for stable and wealthy EU member states. According to the latest Frontex data, about 1.2 million refugees entered the European Union workers over the first 10 months of 2015. The European Commission stated that the current immigration crisis is the biggest since the Second World War. Turkey is a key transit route for refugees. According to the UN refugee agency more than 2.5 million Syrian refugees are temporarily living in Turkey, many of whom seek to travel further to Europe.